Boutique hotels bring a little personality and artistic flair to a local accommodation scene, and a creative city like Seattle has more than its fair share. Boutique hotels in Seattle are scattered throughout the city’s lively urban neighborhoods, as well as its downtown business core. This downtown hotel sets a playful tone, with its bold wallpaper, bright color palette and a eclectic decor it describes as “a stylish hodgepodge reminiscent of a world traveler who collects items on journeys near and far.” As one of the best-located boutique hotels in Seattle—within walking distance of Pike Place Market and the waterfront—the Kimpton is a fine base for your urban explorations. Amenities: Dining and craft cocktails at Outlier, heated patio with firepits, fitness center, yoga mat in every room, Atelier Bloem bath products, complimentary loaner bikes, complimentary evening social hour (wine), in-room spa services, and no extra fee for pets. Crowning Seattle’s First Hill just east of downtown, this elegant Italianate hotel has served as a luxurious retreat since it opened in 1909. 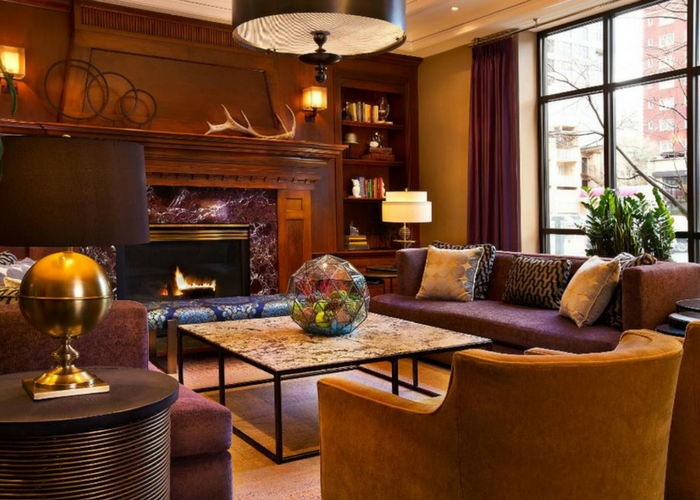 Dark paneled walls and plush upholstery harken back to the days when this Seattle boutique hotel hosted intellectuals and dignitaries. The hotel keeps the tradition alive with music, literature readings, and social events like formal afternoon tea in the lavish Fireside Room. Guest rooms feature period furniture, fine linens, white marble baths, and original carved-wood moldings. The hotel notes that no two rooms are alike. 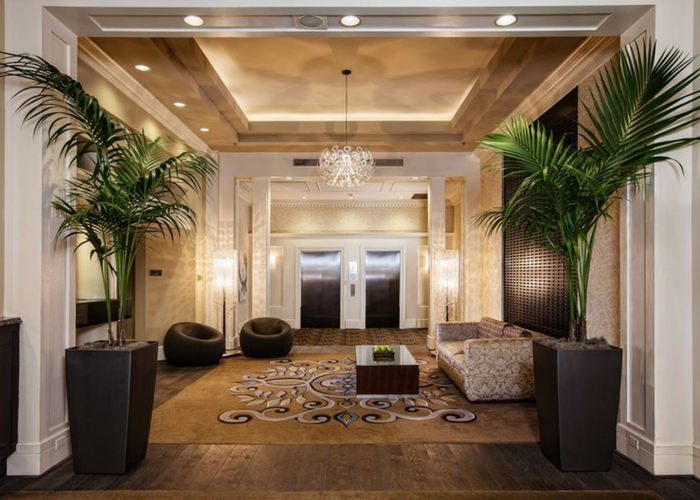 Amenities: Dining in the Dunbar Room, daily wine hour, full-time concierge, fitness center, business center, complimentary shoe shine, and CO Bigelow Apothecary bath products. Immerse yourself in 1950s swank at this Belltown boutique hotel, best known for its acclaimed on-site steakhouse. The all-suite accommodations serve up their own snazzy Rat Pack luxury, with pillow-top mattresses, featherbeds, custom linens, and buttery Italian leather sofas. 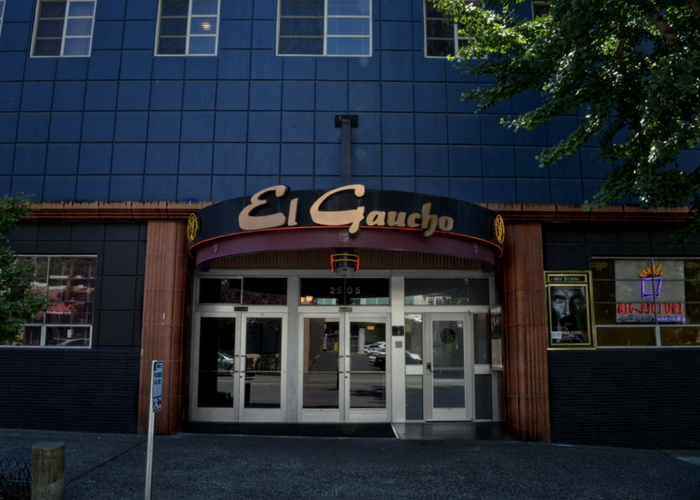 Amenities: Dining at El Gaucho, custom robes with microfiber lining, oversized terry loop bath towels, large work station, premium TV channels including NFL Sunday ticket, and Gilchrist & Soames bath products. Located in Lower Queen Anne, the Maxwell puts you within easy striking distance of the Seattle Center, Lake Union, and the charms of Queen Anne itself. The look is bright and bold, with mosaics on the floor, murals on the wall, and furnishings that run from chartreuse to watermelon. 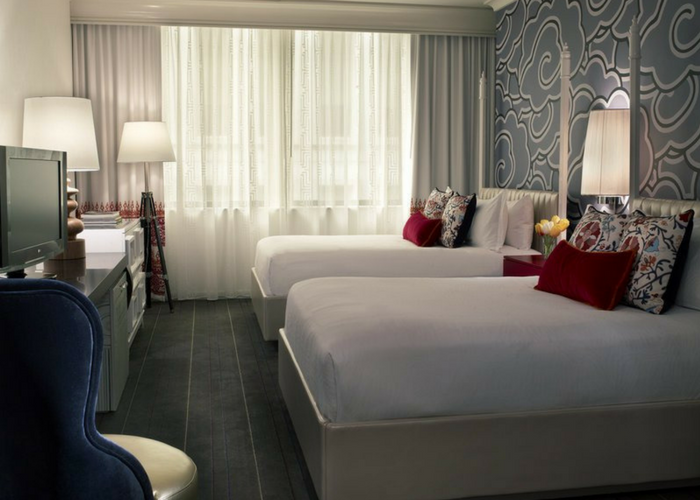 Rooms are a bit more subdued, but with bright colors and outrageously plush bedding. Amenities: Indoor pool, loaner bikes, complimentary coffee and cupcakes, fitness center, and local shuttle service. Motif is one of the best boutique hotels in Seattle for travelers looking to get a taste of the city’s culture. Every year, a local artist designs a new custom motif for this Seattle boutique hotel, which also works with local musicians to curate its ambient in-house music. Seattle style guides the guest room aesthetic, with minimalist urban decor, locally commissioned art, and fine city and water views. Rooms are spacious and bright with large windows. 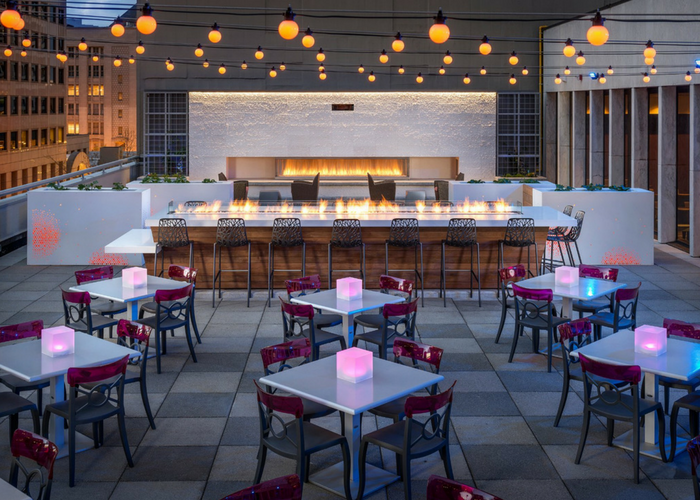 Amenities: Dining at Frolik Kitchen + Cocktails, outdoor patio with fireplace, business center, fitness center, NEST bath products, and on-site parking garage with electric charging stations. 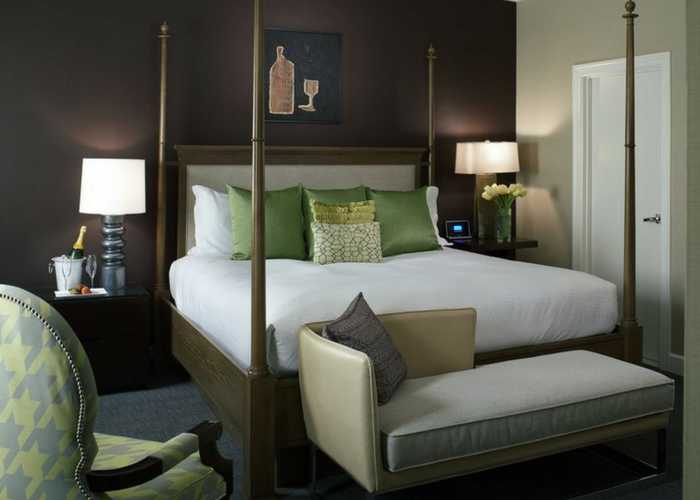 Complimentary wine tastings every evening underscore the theme of this Fifth Avenue boutique hotel that celebrates Washington vineyards. Spacious guest rooms are warm and inviting, with velvet couches and thick drapes that create an atmosphere as rich and cozy as a fine Cabernet. Amenities: Italian dining at Tulio, fitness center, yoga mats in rooms, in-room spa services, loaner bikes, and nightly wine tastings. 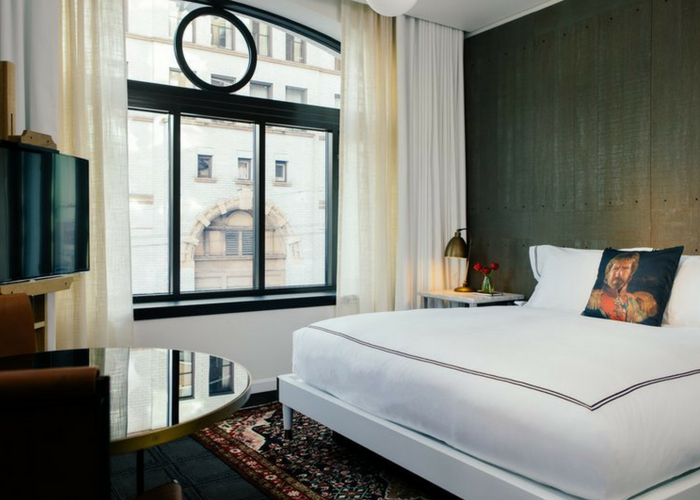 Where downtown meets Belltown, a 1910 neoclassical building has been revamped into this Seattle boutique hotel with a whimsical, masculine vibe. Celebrity portraits fill the lobby, beds come adorned with pop culture icons from Bowie to Brad Pitt, alarm clocks and phones are decidedly retro, and easels hold flat-screen TVs. 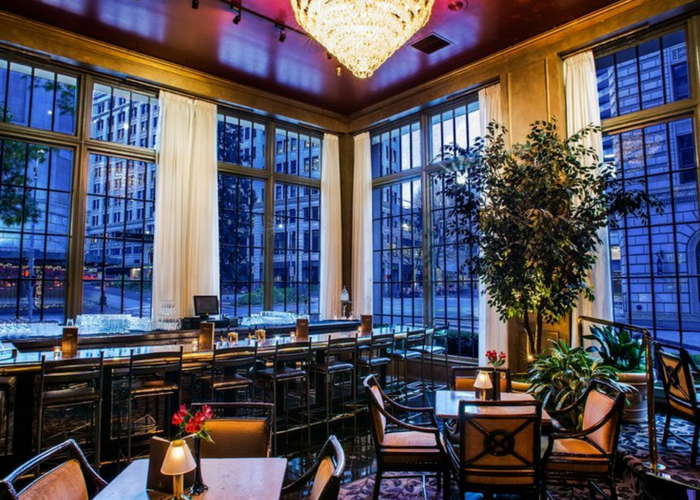 Start with a cocktail in the Speakeasy-style Pennyroyal Bar to kick off your evening in Belltown. Amenities: Dining at Shaker + Spear, Penny Royal lounge, evening social hour, fitness center, in-room spa services, yoga mat in every room, loaner bikes, and Atelier Bloem bath products. 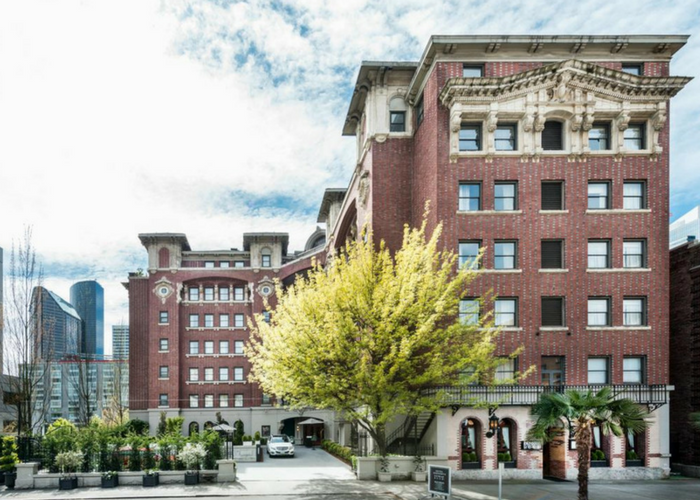 A block from the Paramount Theater and the Washington State Convention Center, the Paramount puts you in a prime downtown locale for shopping, dining, and nightlife. Choose from traditional rooms or those with a more modern urban decor. Higher floors have skyline views. Amenities: Dining at Dragonfish Cafe. One of the oldest locally owned boutique hotels in Seattle, the dignified Mayflower has been welcoming guests since 1927. The city has essentially grown up around it, including the monorail to Seattle Center, the light rail to SeaTac airport, and Seattle’s central shopping core. 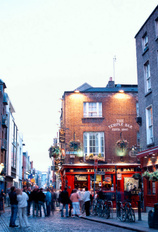 Renovations over the years have retained the hotel’s Old World ambiance while providing modern comforts and amenities. 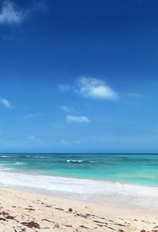 Amenities: Dining at Andalucia Restaurant, Oliver’s Lounge, fitness center, soaking tubs, and weekly wine reception. 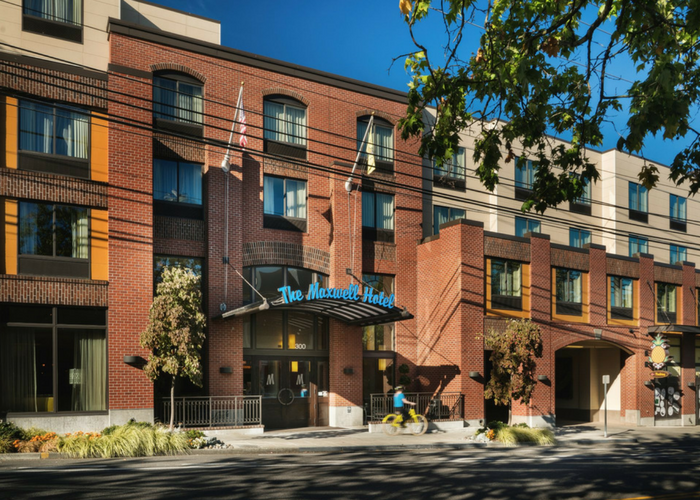 Kimpton Hotels has created another winner with the Alexis, just a couple of short blocks from lively waterfront attractions and the ferry terminal. Inside, it’s library-quiet, an inviting atmosphere for curling up next to the fireplace with a book from the hotel’s own collection. Guest rooms in the renovated 1901 building are plush and spacious, with high ceilings and tall windows. The library theme continues in the first-floor Bookstore Bar and Cafe. Amenities: Above-par fitness center with climbing wall, steam room, day spa, and complimentary evening wine tasting.